We need debate around much needed change in higher education. So the prediction by Peter Hartcher in The Sydney Morning Herald recently that the Abbott Government is “about to announce the most dramatic changes to the higher education in decades” is welcome. Australia needs a big plan for achieving massive educational reform so we can create a workforce skilled for the future. We cannot continue to educate students for a world that no longer exists. Jobs are moving off shore, others are disappearing. Clearly, Australia can no longer compete on the cost of labour. What is our plan to compete on the quality of labour? What kinds of graduates should we be producing for Australia to be competitive on the world stage? What capabilities do we need for the modern economy? Where is the true innovation in education that is needed to support Australia’s future? New technologies have the potential to change the way we think about education, especially when it comes to 21st century skills. We should focus on creativity and innovation; on fostering higher levels of critical thinking, problem solving, decision making; collaboration and communication; technological literacy; on being a local and global citizen; and on personal and social responsibility. We also need greater levels of literacy and numeracy. Presumably fee deregulation is to be part of the so-called dramatic changes, and with that comes more stark competition than we presently experience in higher education. But what will this type of ‘competition’ do for Australia, its taxpayers, the students and their families? Will it drive the kinds of educational reforms we need to produce graduates equipped with 21st skills? As I see it private providers (especially those publicly listed) are likely to find the cheapest ways possible to offer Australian Qualification Framework (AQF) compliant courses in order to make the profits their share-holders demand. Their students are therefore likely to encounter mass lectures with smaller group tutorials involving little or no focus on 21st Century skills. It’s not the ‘mass education’ that’s the problem, it’s the lack of innovation and reform in what, and therefore how, students will learn. Online lectures, books, websites, open education resources (and from peer-reviewed journals for those enrolled in a formal education system licensed to access them) are already easily accessed, right now, from the Internet, including massive open online courses (MOOCs). As I’ve said before, any university that can be replaced by a MOOC, should be. Universities should no longer be primarily about acquiring and disseminating information, but should be focused on the “what you can do with what you know’. Can you solve problems and propose creative solutions? Can you work in teams across cultures? Apart from these dire statistics, the most common approach to learning is via videos of lectures, readings and online tutorials. In other words, using the technology to automate existing approaches to learning and teaching. Hardly the kind of educational innovation we need. Undoubtedly some universities will double or triple student fees if deregulation of fees is introduced. Will that extra funding result in innovation and educational reform? Highly unlikely. The extra funding probably will be quietly directed towards more research so those institutions can achieve a higher ranking in the international rankings system. Other higher education institutions will not be in a position to raise fees and hence will struggle to innovate as they compete for already scarce funds. These universities are highly likely to resort to mass information dissemination teaching methods, attractive because they are inexpensive to run. So what will competition do for the Australian taxpayers’ $6 billion annual outlay on higher education? Students attending the universities who increase their fees will get pretty much the same education as students do today, but pay double or triple the cost. The extra fees might mean their university rises a couple of places in the ranking systems. Surely, as a nation with a strong higher education industry, we can do better than that. 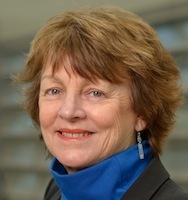 Shirley Alexander is Professor of Learning Technologies at the University of Technology, Sydney (UTS) where she is Deputy Vice-Chancellor & Vice President (Teaching, Learning & Equity). Shirley’s long term research agenda has been on the effective use of information and communication technologies in learning in higher education.